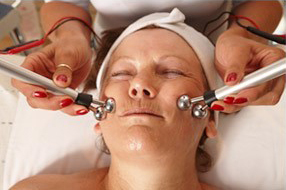 TO EXPERIENCE THIS TREATMENT OR PURCHASE THIS AMAZING MACHINE CALL OLIVIA ON 07703 648 484. 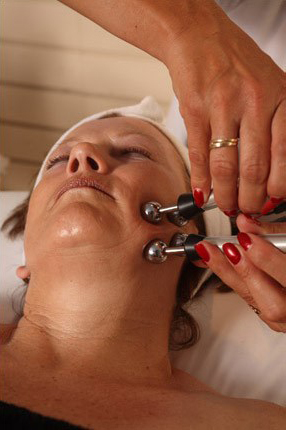 Mesotherapy is a medical technique first devised in the 1950s by a Frenchman called Dr Michel Pistor. 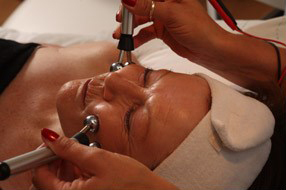 It involves the micro-injection of specially prepared active ingredients, injected directly into the skin cell. 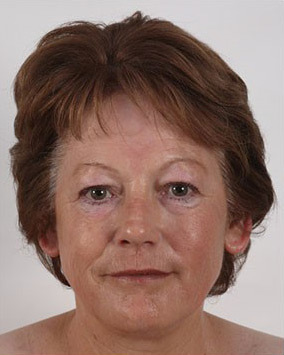 Mesotherapy was initially used to treat such conditions as rheumatism, sports injuries, and for the improvement of blood circulation. 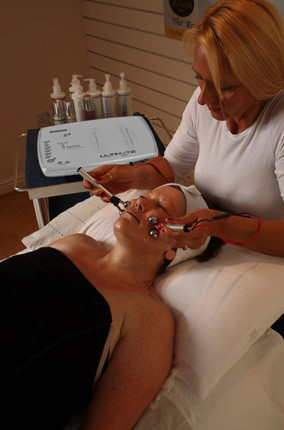 Using both faradic and galvanic micro-current, enabling you to stimulate muscle fibres to achieve a toning effect and improve the surface skin texture. 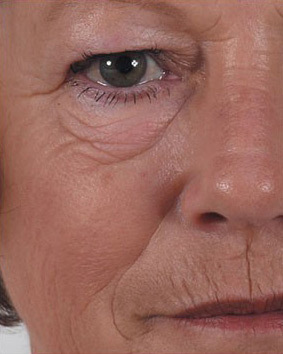 The current is used at an intensity to bring maximum results in minimal time with no discomfort, ensuring a beneficial, effective long term treatment programme, designed to achieve facial toning by stimulating nerve endings to improve tone in the muscle tissue. 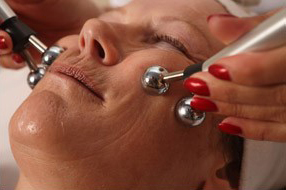 When using the galvanic micro-current alone it improves the circulation to both the skin and the muscle cells, improving the surface skin appearance. 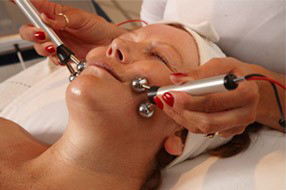 The dual output alternates between faradic and galvanic micro-current, achieving both facial toning and improved circulation. 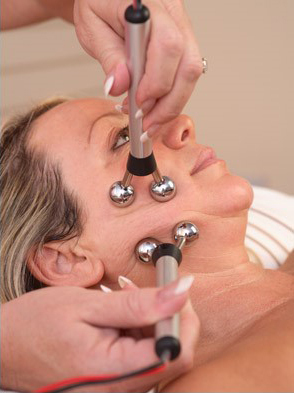 The probes are systematically moved from facial point to facial point, gently lifting and toning the 12 essential zones of the face. 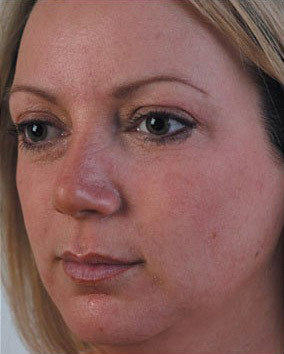 Examples of Michelle having the new ‘Lift Plus’ treatment procedure. 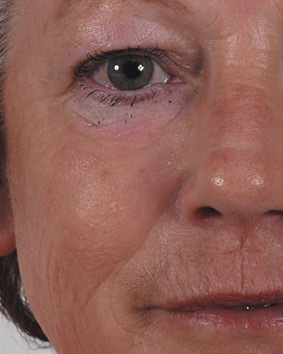 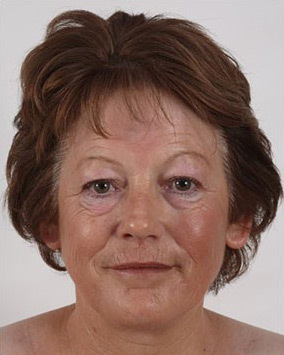 Examples of Gwen having the new ‘Lift Plus’ treatment procedure. 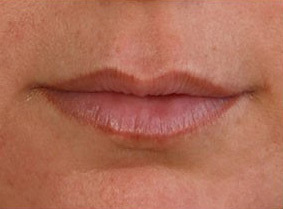 Call Olivia today for further information.